Research shows that older Americans overwhelmingly want to remain at home as they get older, but the logistics of aging can often require homeowners to sell and move into an assisted living facility. Still, as the baby boomer demographic wave takes over the United States, more and more companies have found ways to make home adaptations attractive — and, according to the Wall Street Journal, worthy financial investments. Citing a Genworth Financial study that placed the national median cost for assisted living services at $45,000 per year, the WSJ positioned home modifications as a potentially smart option for some seniors. “Making your home safe enough to maintain your independence clearly makes economic sense, what with the average mid-range bathroom remodel costing about $19,000 according to Remodeling magazine,” the paper noted. A 2014 survey from retirement advocacy group AARP found that 87% of seniors would prefer to stay home during retirement, a figure that includes the 71% of people aged 50 to 64 who didn’t want to move into an institutional living or care setting. That group likely includes “60-something” couple Kevin Weldon and Peter Newman, who proactively outfitted their upstate New York home with a variety of designs that will help them as they age into their 80s and beyond — including under-cabinet lighting and extra-wide walkways. But despite the eye toward future potential issues, the homeowners emphasized style above all. Another couple from Maryland redesigned their bathroom with design cues from Japan, with slip-resistant floors, wide berths for walkers and wheelchairs, and a variety of chrome grab bars — but with an overall look that wouldn’t be out of place in a luxury spa. “The grab bars look like they’re decorative,” one of the homeowners told the Journal. The sleek new designs for aging-in-place adaptations aren’t just to match the evolving tastes of baby boomers, who generally have negative associations with devices such as grab bars and emergency pull-cords. High-end features such as wooden stability bars and easy-to-grasp faucets can also appeal to younger buyers as well, quelling one of the major fears associated with overhauling a home for aging: reducing the eventual resale value as families balk at living in a house designed for the elderly. Of course, $19,000 for a bathroom renovation could be on the low end. 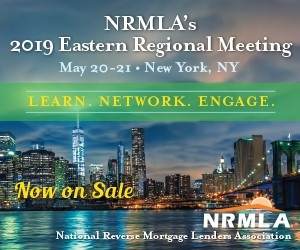 Last year, a National Reverse Mortgage Lenders Association webinar on aging in place pegged a bathroom overhaul at up to $25,000 in more expensive areas such as the suburbs of New York City, with upgrades to other rooms in the home pushing the price tag even higher. Check out the full dive into aging-in-place innovation at the Wall Street Journal.